I cannot overcome the sinfulness of reaching out for something one moment and devaluing the next. So I have been keeping certain products aside to use them more often. I am trying to add them to my casual/daily makeup or occasional as well. After Purples, Khaki Green and Neutral eye shadows; I am warped with Hues of Golds and Coral medley. I personally think the Coral elevates the splendour of the Gold, exclusively with brown eyes. Moreover, I love the coalescence of Browns, Corals, and Golds in one look, and this one was perfected in Ten minutes. ~ Applied NYX cream blush, lightly in patting motions with fingers. ~ I applied a muted Gold colour on the eyelid and a shimmery brown into the crease from MUA Heaven & Earth Palette. ~ Lined my eyes with Maybelline Colossal Eyeliner and coated my eyelashes generously with Bourjois Beautyfull Mascara. 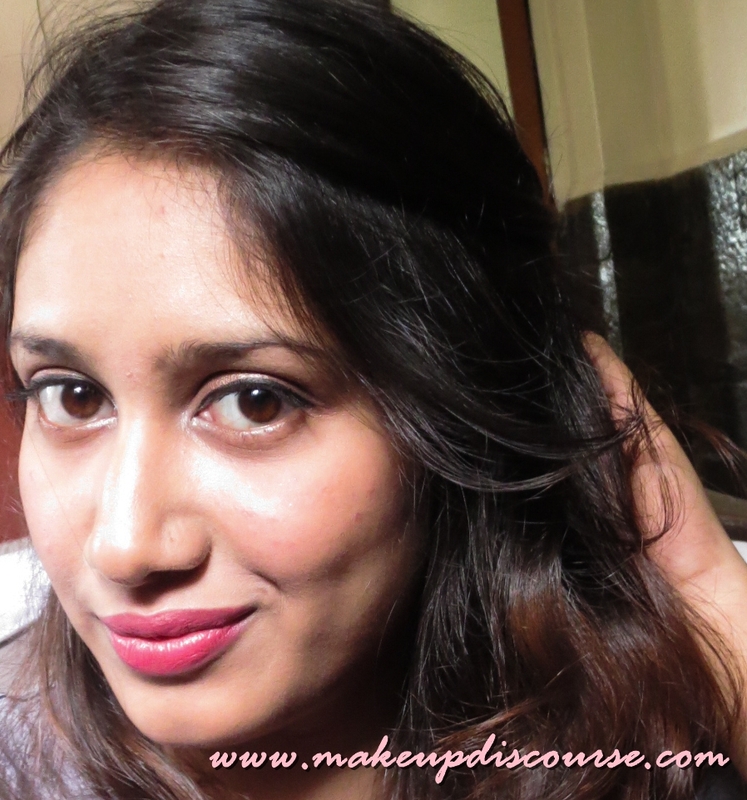 ~ I set my makeup with Rimmel Stay matte in the shade 004 Sandstorm. ~ On well-hydrated lips, I adjusted the intensity of Revlon Streetwear Lipstick in Pink Persuasion. Mute enough to match the Gold eyeshadow on the eyelids. That’s for the effortless Gold and Coral Makeup look. And there are variations to happen soon. Double up the lipstick as blush, that sometimes look really co-ordinated. Use eyeshadow as a Highlighter and Dark brown eye shadow with grey undertone for contouring. *Pictures clicked with Canon Ixus in bright daylight. I have cropped the images and adjusted the exposure. *All the brands used are available in India.